Since 1996, Hoferichter & Jacobs GmbH has continuously produced high-quality documentaries, reports and feature films. Our classical film and television productions have also been complemented by various cross-media productions for some time now. Addressing the German and European theatrical markets, our productions have garnered prestigious prizes, such as the German Grimme Award and the European Television Prize. Every year, they are presented in many countries and at numerous film festivals. From a journalistic point of view, we dedicate our work to contemporary and demanding topics. These include current social challenges in demography, the environment and science. Our focus lies with social responsibility and a critical yet constructive approach to German as well as international history. Our popular science productions include selected topics, such as the documentary series „Zukunft der Städte“, „Kulturlandschaften Europas“ or „Geschichte der großen Universitäten der Welt“. 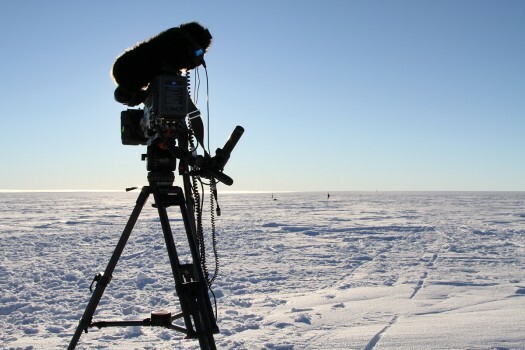 Our science documentaries regularly emphasize on topics ranging from biodiversity over expeditions, glacier and volcano research, paleontology and behavioral biology to agriculture. To realize these topics, we collaborate closely with scientific experts involving them in the respective filmic narrative. We are very ambitious to design up to date productions. Our portfolio not only includes transmedia narratives and forms of exploitation but also graphically upscale scientific and future scenarios. Our strengths lie with data-driven journalism and its audiovisual presentation on television and interactive websites. Extraordinary topics often lead us from European co-productions to an international and cross-media realization of our contents. We further refine our contents by developing digital education media and additional features. Our mission is to tell unique stories and to address important issues. Top quality is our goal. We aim to address our audience as equals and entertain and inform on the highest creative and narrative level.